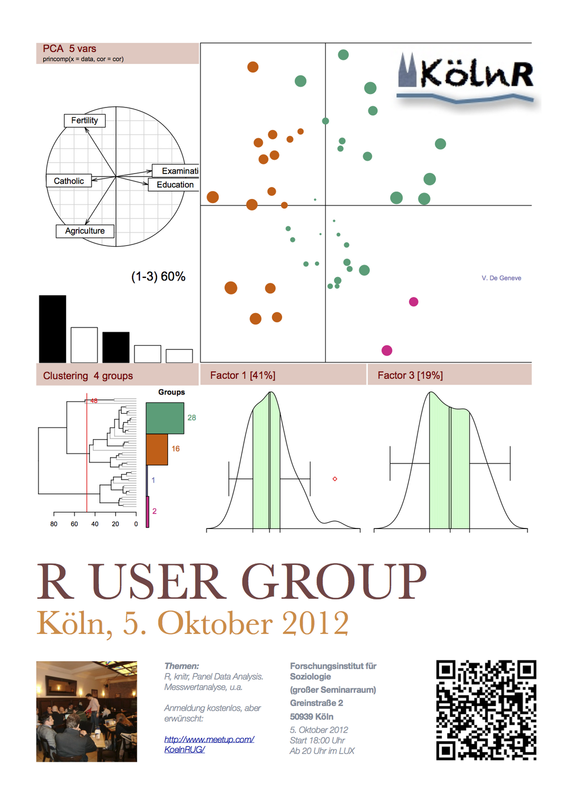 The next Cologne R user group meeting is scheduled for 5 October 2012. All details and the agenda are available on the KölnRUG Meetup site. Please sign up if you would like to come along. Notes from the last Cologne R user group meeting are available here. Thanks also to Revolution Analytics, who are sponsoring the Cologne R user group as part of their vector programme.